When you need termite and pest control done by an expert exterminator, turn to Wine Country Termite & Pest. We are a leader in residential and commercial pest control services in California and provide outstanding results at rates you can afford. There is nothing more frustrating than an insect or pest invasion. These critters can overrun your home, endanger your family and even compromise the structural integrity of your home. Pests vary region to region and change seasonally. 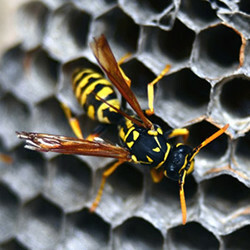 They can invade homes or businesses and are often difficult to remove. If you are suffering from a pest control problem, don’t wait. Call Wine Country Termite & Pest. For over ten years, we have offered the very best in termite and pest control in Santa Rosa, CA. Our experts provide thorough and safe traps and extermination, allowing you to live pest free. Through a combination of experience, education and training, we bring a level of expertise unmatched by our rivals and we are equipped to handle any pest invasion. We provide outstanding pest control solutions. We can provide pest control services to both residential and commercial customers. We can handle all types of pests, including termites, roaches, ants, bees and rodents. We are licensed, bonded and insured by the state of California. Our rates are competitive and affordable. When you have a pest control problem, call Wine Country Termite & Pest to set up your pest inspection.